A primordial evil lurks deep in the jungle. A ruthless killer. A deadly game. Gabriella Giovanni has it all. A stunning penthouse in San Francisco. An exciting job on the crime beat. A doting, handsome husband and a beautiful little girl. So, when she complains about all the travel her husband's new DEA job requires, Gabriella knows she has good problems. But when her husband's plane goes down in the jungles of Guatemala and she is told he is dead, Gabriella thinks things could not possibly get any worse. Despite the U.S. government's attempt to find the wreckage, they come up empty-handed. Gabriella heads to Guatemala to find some answers, and hopefully, some healing. In the deepest, darkest jungles, it doesn't take long for Gabriella to realize she's in over her head and putting what remains of her life--and everything she loves--at risk. 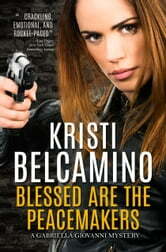 Blessed are the Peacemakers is the fifth book in the acclaimed and Anthony, Barry & Macavity-nominated Gabriella Giovanni Mystery Series. 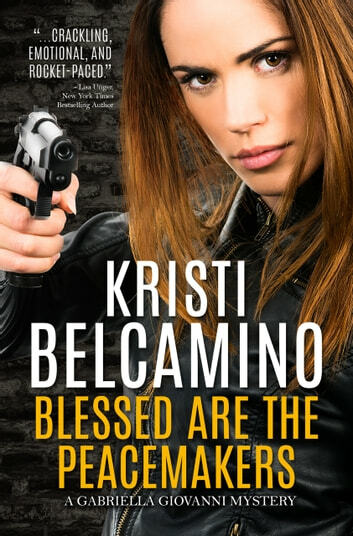 If you like formidable heroines, page-turning suspense, and gritty mysteries, you’ll love Kristi Belcamino’s action-packed stories! Get Blessed are the Peacemakers today and create your own brand of justice!